We recently took a little road-trip down to San Diego to join in the celebrations for a friend’s birthday. On our way down we made a quick stop in Santa Barbara. I have a bit of a soft spot for this beautiful little city. Greg and I spent our first wedding anniversary in SB, then again on our farewell to California tour before we left for NYC. We stopped off again on this quick trip to eat, drink, and see friends. This stay was less than 24 hours, but we managed to get some fun in. This has been the one constant throughout all our trips to Santa Barbara. I can’t remember who first tipped us off to this spot, but it has remained a consistent favorite and it was our first stop as soon as we rolled into town. The wines have been consistently good through all of our trips, but one of the cool things about visiting the winery is that you’re right in the middle of things. The “tasting room” is basically just a small corner of the winery that has been set-aside for the purpose. It’s not fancy, but you get an up close and personal sense for the workings of the winery. The space is relatively small as well, and every inch is in use. Therefore, winery staff might be hard at work as you taste. 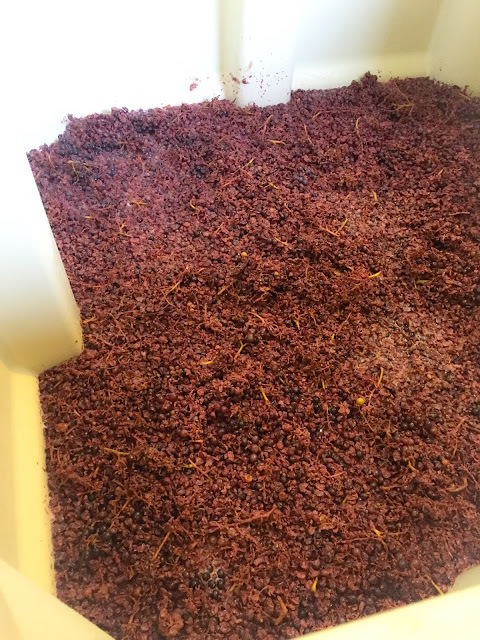 During our most recent trip, a vat of Grenache was fermenting next to us as we sipped. 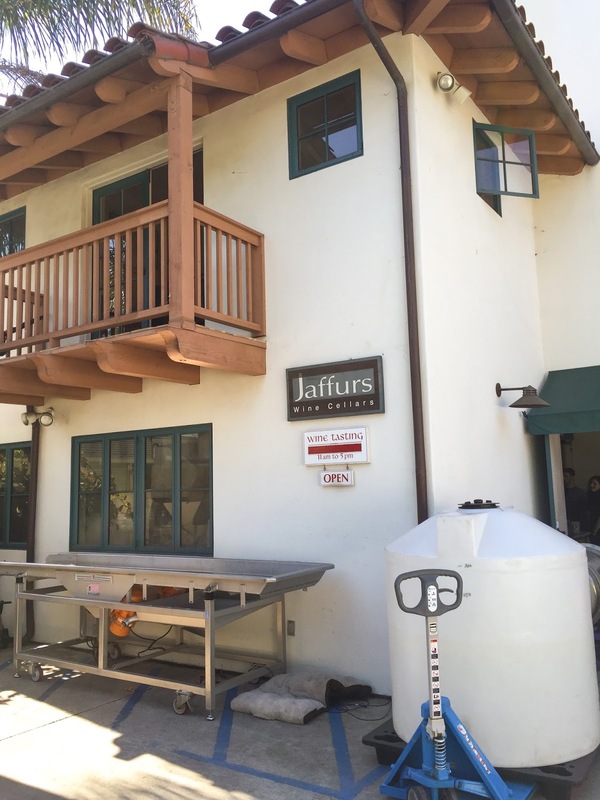 Jaffurs focuses on Rhône varietals–the red grapes to which I’ve always been partial. 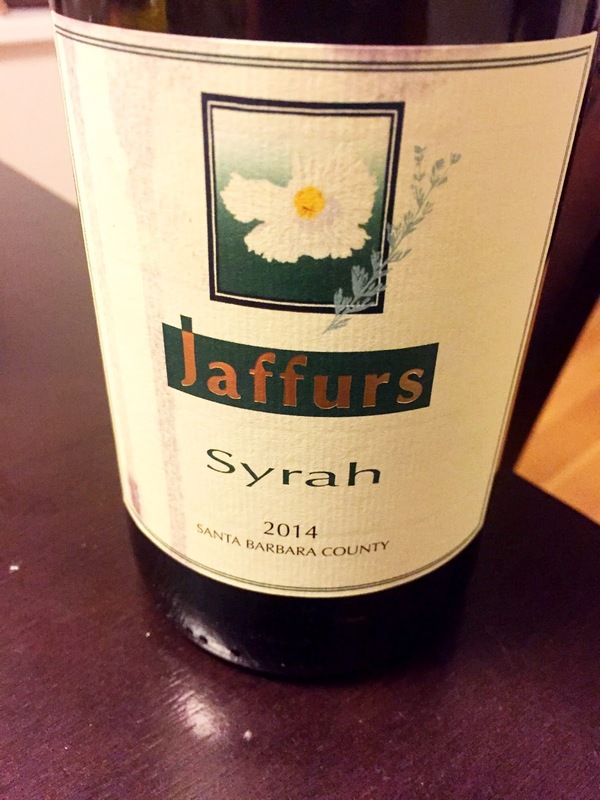 Jaffurs’ Syrahs and Grenaches in particular have continued to be favorites over time. They don’t grow any of their own grapes, but source carefully from vineyards all within Santa Barbara County. 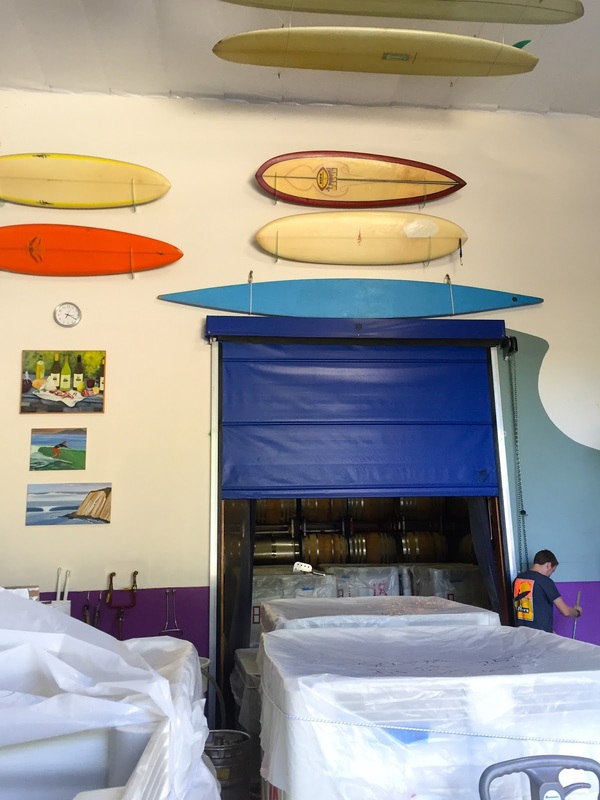 They’re currently in a bit of a transitional period as original owner and winemaker, Craig Jaffurs, has recently sold the winery to Dan Green. It might be changing hands, but it will happily remain a small, family-owned operation. 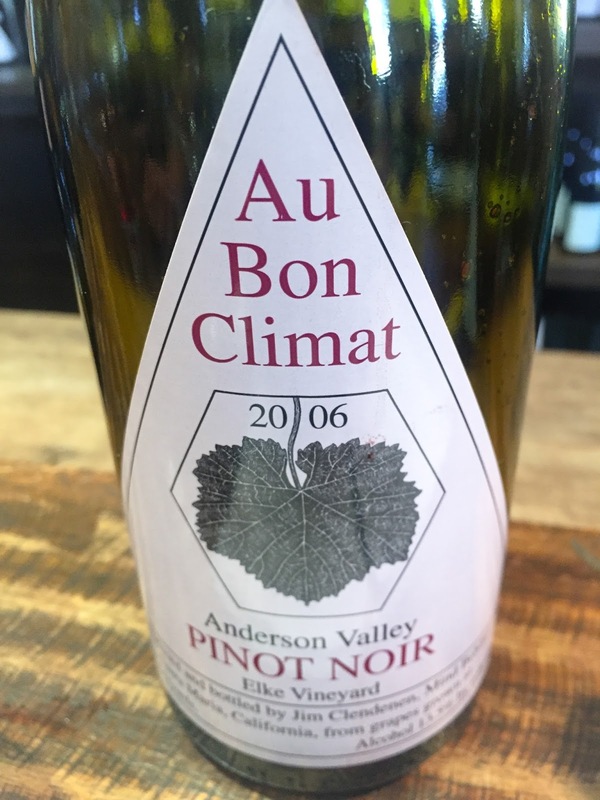 Although it’s long been highly regarded, Au Bon Climat is a more recent favorite for us. This is in no small part due to the fact that they make a really reliably good Pinot Noir in the $20-$25 range. (I know I’m going to sound snobby, but Pinot is really a finicky grape, and it’s hard to find good versions in the lower price points.) Of course they have high-end wines as well, but it’s nicely split with a very good selection of reasonably priced wines. Love that happy combination of quality and price that gives you a good value. Winemaker Jim Clendenen takes a Burgundian approach to the winemaking, which leads to wines that have that ripe California fruit, but with plenty of freshness, which makes them pretty food friendly. 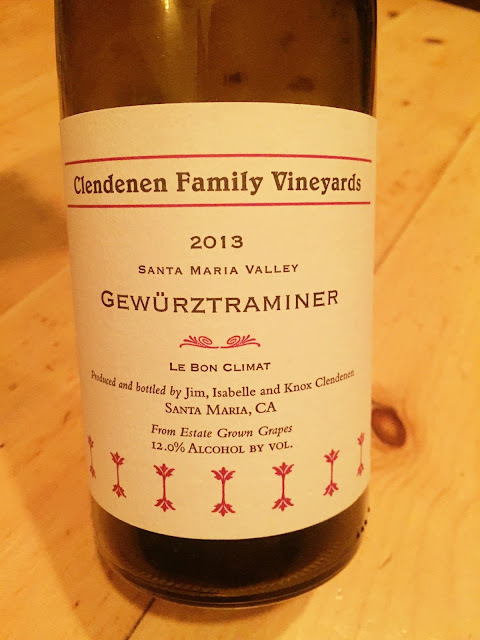 That Burgundian inspiration means you’ll find quite a few Pinot Noirs and Chardonnays to choose from, but you’ll find a few other varietals as well, particularly among Clendenen’s other lines. 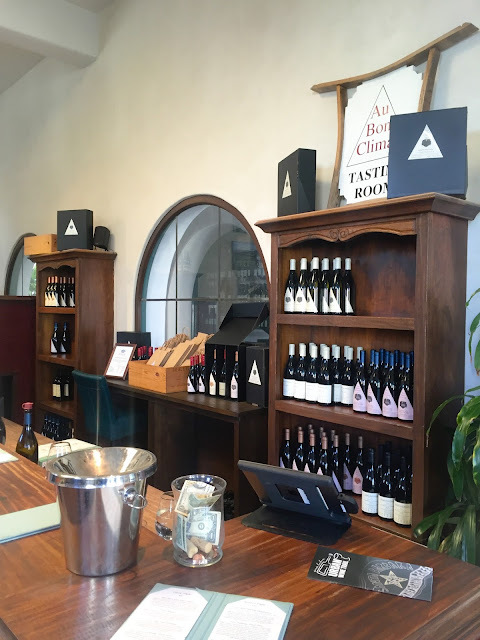 The lovely tasting room is really accessible, as it’s in a plaza right in downtown Santa Barbara, clustered near several other tasting rooms. (We’ll have to get to those another time.) We had a great rapport with the tasting room manager–also named Nicole, so of course she was charming. Since it happened to be the end of the day and mid-week, there were only a few other people in the tasting room, which allowed for a leisurely tasting and conversation. She mentioned that there’d be a push going forward to showcase more back-vintages in the tastings, so watch out for that if you’re a geek for older wines. Moreover, a lot of those back-vintage wines are still completely affordable. 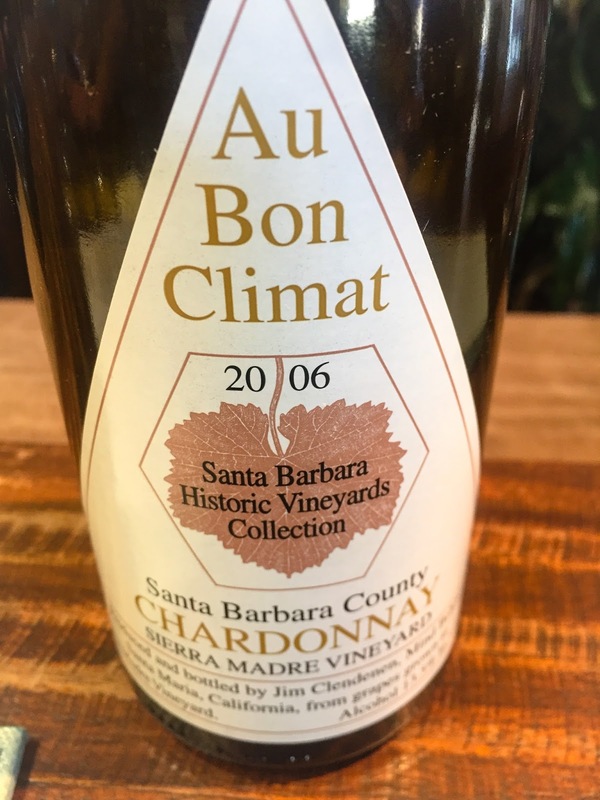 On the day of our visit, they were pouring the 2006 Chardonnay Sierra Madre Vineyard, which was showing beautifully and still had plenty of freshness. Happily scored a bottle to bring home. For dinner we met up with friends at Sama Sama Kitchen downtown. 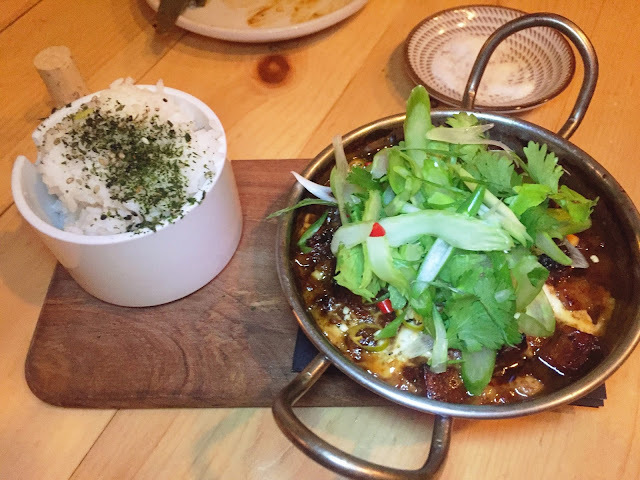 The restaurant serves Indonesian food using locally sourced ingredients. 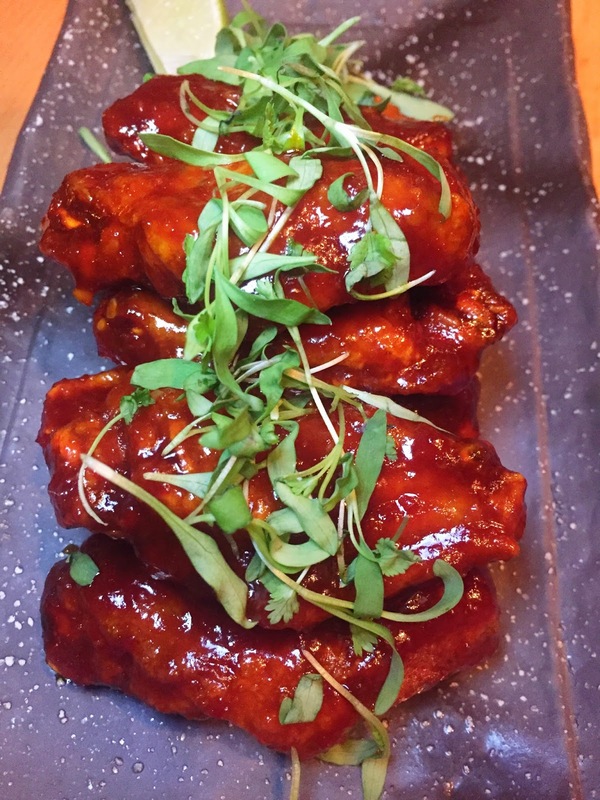 The result is a menu of small plates that are meant to be shared that balance bold and fresh flavors. 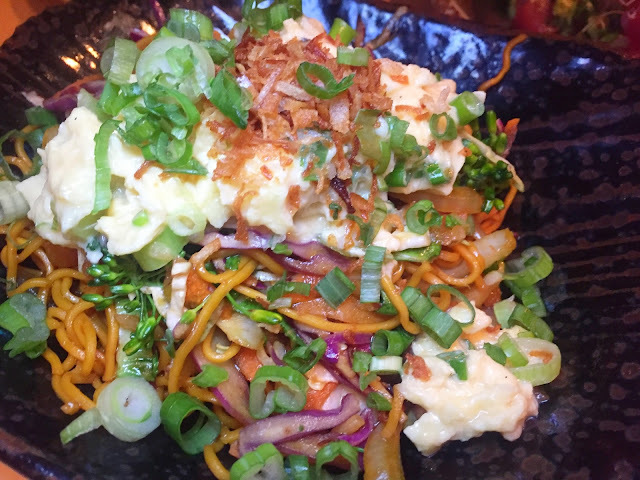 Standouts included the ‘Ayam Kecap’ Jidori wings, the Mie Goreng Noodles, and a Pork Head Sisig (spicy meat/pork dish popular in Indonesia and the Philippines) that was on special. The dining room had a casual, modern vibe with a beautiful long bar in natural tone wood, and our waitress was friendly and helpful, making for a relaxed, fun evening. The beverage list is short and well edited. Cocktails selections are split between a few classics and signatures each. The beer list focuses largely on the Western US. Similarly, the wine list focuses on selections from CA, particularly from the nearby regions. Choices are also fairly reasonably priced. However, if you happen to be tasting nearby, as we were, go ahead and bring a bottle to dinner—corkage is only $12. 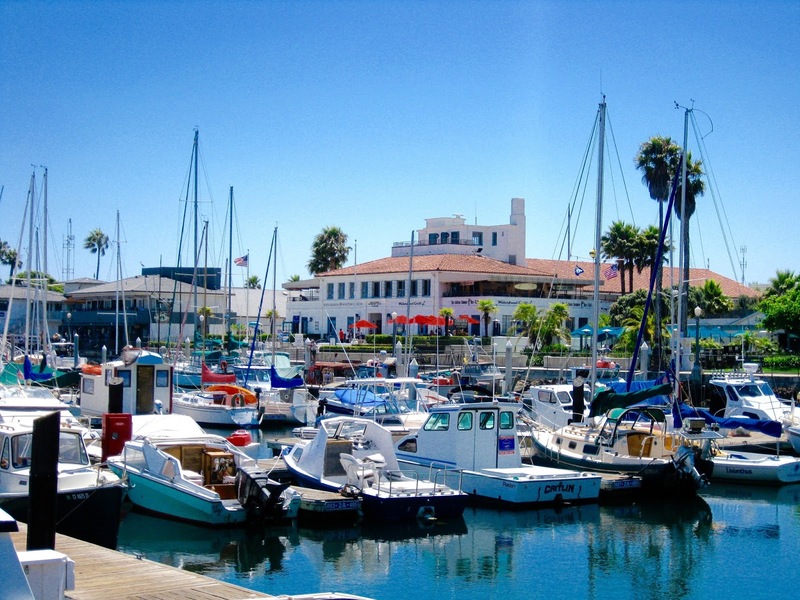 Santa Barbara is such a great place. We just love wine tours and that food looks amazing.